I have always found the front hall closet to get the messiest especially in the depths of winter. Kids shoes, boots, mittens everywhere and then my own things jammed in the closet which may not smell so fresh anymore. There are ways to organize the chaos, and a few products that might be worth investing in, but there is still a little bit of work to do to get this started. CLEAR IT OUT - I know you probably groan at the thought, but if you pick a day with a couple of hours, you will get through it quickly. Try using the two year rule for this space. That simply means if you haven't worn it or used it in two years then chances are you never will. Maybe it is time to let it go and donate it. Start pulling things out of the closet by the hangers first to get them out of the way. Go through all the pockets, you never know, you may find enough money in there for a lunch out when you are done. Set aside the keepers and then create a pile for donation. Once again go through all the pockets. You can now see the floor and maybe even match up some boots or mittens or sneakers. We always lost the umbrella and after a clean out, we found three! DEALING WITH WET THINGS - I always found one of the worst things to deal with at the front door was wet mittens, boots and hats. They would usually end up in a pile somewhere on the floor. Instead of throwing them in the closet or on the floor, you can get one of these simply dryer stands. This way they can air our and dry before they are needed again the next day. If you put it near a heating register they will dry quickly. It might be a good idea to sit this on a rubber boot tray to catch the drips. 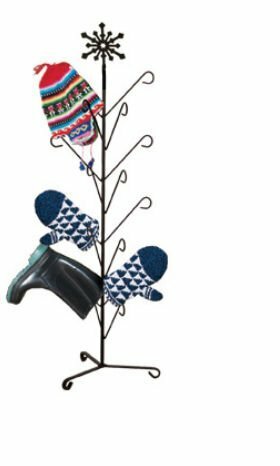 Just click on the picture of the link and see this mitten and boot dryer. You may need a few of them! If you work outside all day or simply around the home, then wet damp boots are no fun the next morning. It can really set your mood in the wrong direction! Winters and wet weather are hard enough to cope with without having wet feet. I always find if my feet are warm I can take on a winters day. This is an electric model. 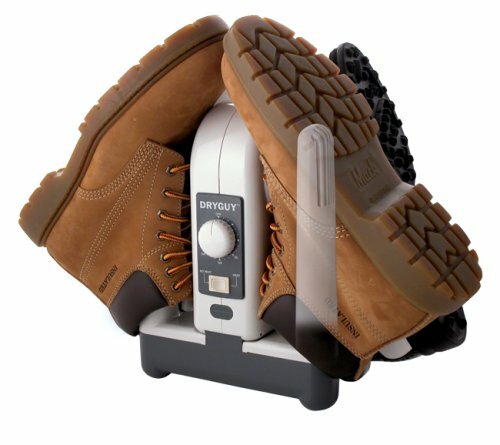 If you need things to dry quickly then having a dedicated boot dryer would bet the better way to go, you can dry ski boots on here as well as mitts. They don't over heat and you can be sure you feet will be warm and dry the next day. Just click on the picture of the link to see more. 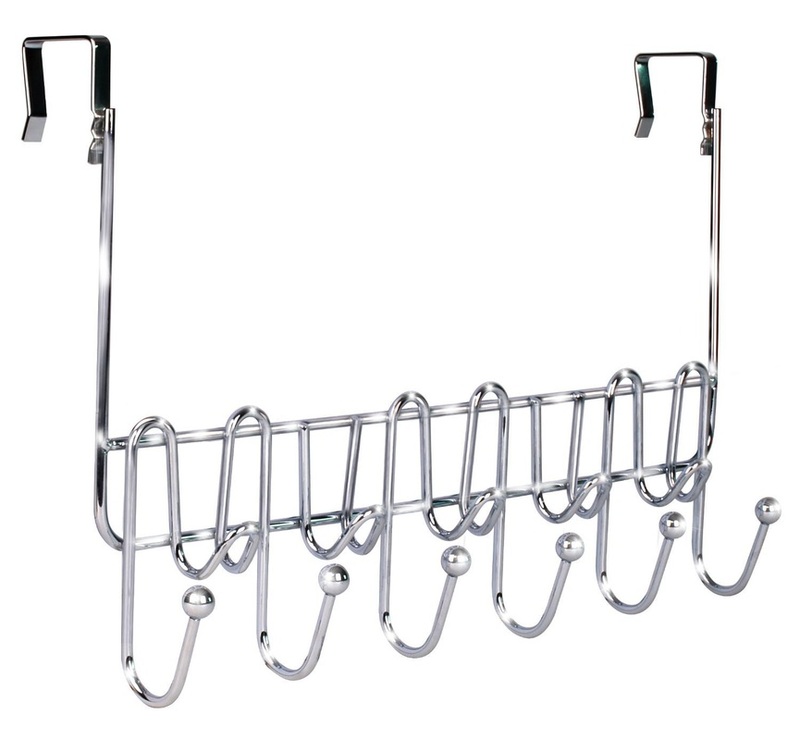 These hooks are the perfect way to hang up jackets and hoodies quickly. This gets them off the floor or the chairs or the couch. If kids or even adults have a easy and quick place to put their coat that doesn't require them to get a hanger out, then hooks are the better way to go. If you hang these over the closet door, it will still close, and there is no damage to the door. This keeps everything out of sight in the main hallway.